Luckily this was in the sale on Feel Unique down to £20 and I just had to buy it. I got the lightest shade which is 01 Opal, because lets face it I’m super pale. I only own medium to high coverage foundations, which I really didn’t want to wear on a daily basis, especially for college. This also has quite a high spf in it so its pretty appropriate for the summer time which is even more perfect. The first time I applied this I instantly fell in love, its so lightweight that you can hardly feel it on your skin yet it gives a lovely smooth layer, taking out any redness or darker patches in your skin. However I do try to use this sparingly because you don’t really get a huge amount in the bottle. But I feel a little goes a long way. Also the colouring isn’t too pink toned nor overly yellow toned, which is always a bonus. Can we also just discuss how pleasing the packaging is, I don’t know just something about it that looks really chic and lovely. This really brightens up my skin without being full coverage. Definitely a lightweight base to invest in! 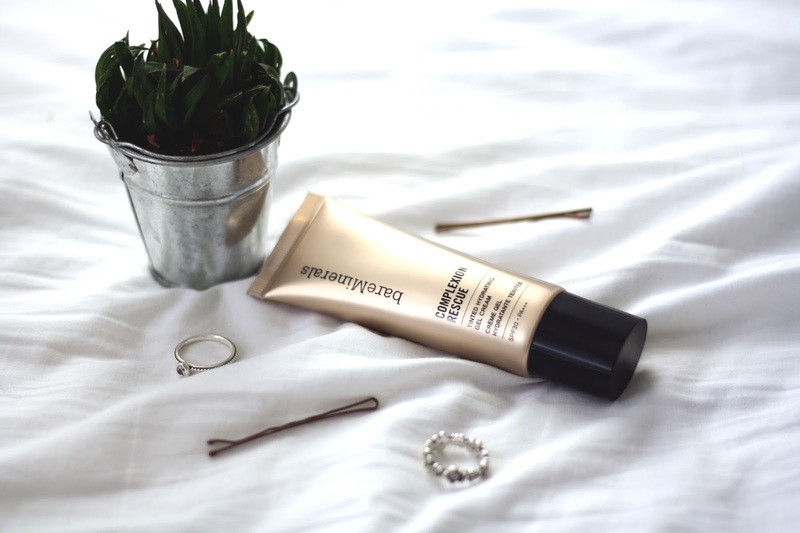 Have you tried the bareMinerals Complexion Rescue?